Unless you live under a rock, you have probably heard about this tragic story involving a now extremely popular silverback gorilla. In May, this year story blew up the Internet regarding a gorilla at the Cincinnati Zoo when a child fell into the gorilla enclosure and one gorilla, Harambe, “attacked” the child that had fallen in. Due to the fact that zookeepers were unsure on whether or not Harambe was a threat to the child’s safety, the zookeepers had two realistic options: try and sedate Harambe or kill Harambe. Out of concern for the child’s safety the zoo decided not to try and sedate Harambe because there was a chance he would turn violent before the sedatives had the time to take effect. Therefore, they chose to the kill Harambe due to severity of the issue with concern to the child’s life hanging in the balance. Understandably, there was a huge public outcry over the Cincinnati Zoo’s decision and many people felt that the Cincinnati Zoo made the wrong decision. They should not have shot and killed Harambe, because Harambe did not deserve to die. As a way to express their anger towards the zoo people started petitions demanding “Justice for Harambe”, and these petitions have gained nearly a million signatures. While a majority of these petitions had serious intentions, the Internet quickly aided in spreading the word about Harambe, just not in the way that the petitioners expected. The Internet quickly took over and the less serious intentions for “Justice for Harambe” came about. The Internet quickly responded with creating memes centered around Harambe. These memes quickly took over the Internet, appearing all over people’s Facebook and Twitter feeds. Hashtags such as #JusticeForHarambe had become trending topics across all forms of social media. 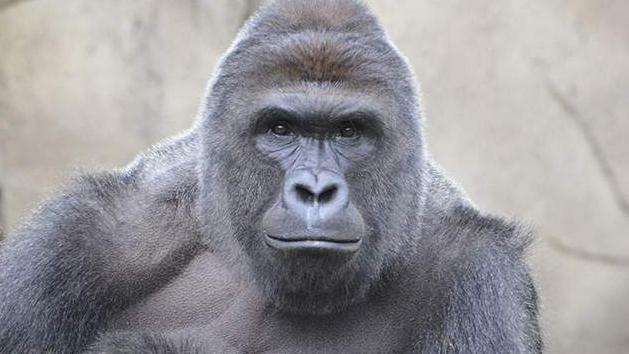 Harambe has appeared in memes involving famous political figures, celebrities, even memes involving the Cincinnati Zoo itself. While these Harambe memes and jokes were funny at first, the Cincinnati Zoo has recently taken multiple steps to try and avoid these memes and jokes regarding their beloved Harambe. The zoo deleted its Twitter account due to the fact that their account was being inundated with these Harambe memes. Fortunately, this did not stop the Internet from creating more and more memes about Harambe. These memes, while they were funny, were pretty insensitive. As the Cincinnati Zoo mourned the loss of their beloved silverback gorilla, Harambe, they did not appreciate receiving any of them. Recently, the Cincinnati Zoo has created a new Twitter account and released a statement, via Twitter, saying, “As seen on many media outlets, please stop creating Harambe memes. We are deeply saddened and continue to heal.” Clearly the zookeepers at the Cincinnati Zoo are trying to move past the Harambe incident, but the world will not let them. However, once you tell the people of the Internet not to do something, they will continue to do it frequently. As a way for the zoo to honor the death of Harambe, the Cincinnati Zoo has redoubled their gorilla conservation efforts and have encouraged others to join in their efforts if they want to help honor Harambe’s memory. However, they feel that the spreading of Harambe memes only dishonors his memory. The zoo is trying to do whatever it takes to prevent these memes from being created and spread across the Internet. Clearly the zoo was not satisfied with killing Harambe once, so they want to kill him one more time. Only this time it’s through the Internet. This cannot be allowed to happen. Everyone should help to support the #JusticeForHarambe movement, because Harambe is a legend.